Have a look at my latest video on driving RGB LED using Arduino. Laser cutter slices through foam. So now it’s all working and today I’ve been slicing through 10mm foam like butter :). I’ve moved over to a pre-written firmware, as writing the code for Arduino to receive and interpret the g-code was getting boring and why re-invent the wheel? After a few mins of tweaking and some time using Inkscape to make the G-code, this is what I’ve progressed to…. 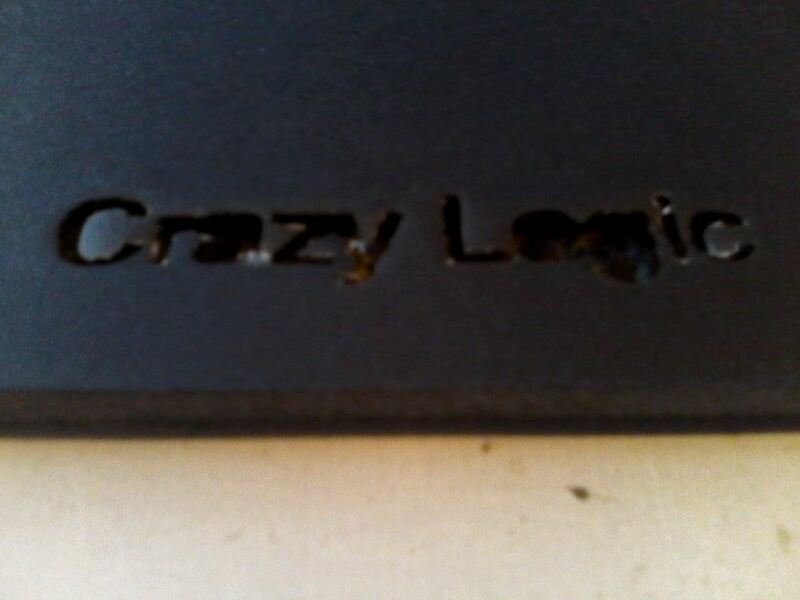 A primitive cut on my laser cutter – still needs some work. Still need to work on the focus and the speed settings. And also working on getting the rails to actually work 🙁 which they still don’t quite yet. Using the diagram from here but with a few changes, I pulled ms1,2,3 to high to enable a resolution of 16 microsteps, and wired it to an Arduino for control. this simple code allowed me to achieve around 3.8 revolutions per second, or ~230rpm. Which is a lot more than in full stepping mode without jumping. CNC router no more. I’ve decided…. … to make a laser cutter instead. I’ve always wanted a laser cutter, but I’ve never really been able to afford one. So i’m putting the CNC router on hold for the time being and building a laser cutter. It’ll have around a 1W laser and have a cutting bed of 600 by 800mm… which is quite big for a starter project. I want to build it spending less than £300 on parts…. so cheaper than the CNC router too. I realised I’ve left this project hanging a while now and that’s partly to do with he fact that the chips I was hoping to use didn’t arrive quickly then other things got in the way. The chips will only do 0-5v, which obviously is no good for the 0-10v that’s required. Never mind – this is still a project i’m working on – just a little more complex than I first thought.